how you may access, correct or update any personal information that Anton holds about you. WHAT TYPE OF PERSONAL INFORMATION DOES ANTON COLLECT ABOUT ME? Sometimes Anton may also need to ask you for other personal information to enable us to provide services to you. HOW DOES ANTON COLLECT PERSONAL INFORMATION ABOUT ME? Anton collects your personal information directly from you unless it is unreasonable or impracticable to do so. When collecting personal information from you, we may collect in various ways, including through when you write to or email us, when you access and use our website and during conversations between you and our representatives. referrals and recommendations from existing clients of Anton. 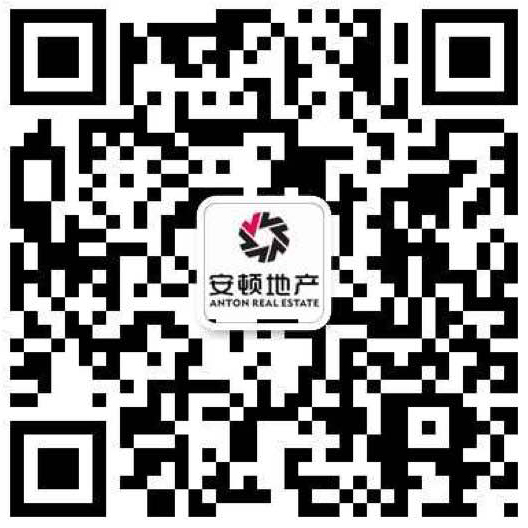 As part of its due diligence process prior to entering into lease or rental agreements with you, Anton may disclose your information to authorised credit-checking agencies. WHY DOES ANTON COLLECT THIS INFORMATION? HOW DOES ANTON USE THE PERSONAL INFORMATION HELD ABOUT ME? for Anton’s administrative, planning, product or service development, quality control and research purposes. Anton may also use or disclose the information it collects for any other purpose specified to you at the time of collection. as reasonable grounds to believe that the use or disclosure is required by law or to enforce the law. sending you news and other information about Anton’s activities and general promotional material which Anton believes may be of interest to you. These communications may be sent in various forms, including mail, SMS, fax and email, in accordance with applicable marketing laws, such as the Spam Act 2003. When Anton does this, Anton will provide you with an express opportunity to decline receiving any further communication from Anton of this type via an opt-out mechanism. If you indicate a preference for a method of communication, we will endeavour to use that method whenever practical to do so. You may at any time request not to receive direct marketing from Anton by contacting us (see the details below) or by using opt out facilities provided in the marketing communications and we will then ensure that your name is removed from our mailing list. CAN I BE ANONYMOUS WHEN I DEAL WITH ANTON? To some extent you can preserve your anonymity when you deal with Anton. You can browse our website without providing any personal information, you can access our real-estate advertising in various publications and you can generally attend auctions without providing personal details if you do not intend to bid. However, when you enter into transactions with Anton that involve the sale, purchase or rental of real estate property, then various Acts, statutory legislation and regulations require you to provide Anton with personal information so as to identify you. If for any reason Anton does not allow you to access your personal information, Anton will provide you with reasons in writing for its decision. If you believe that personal information Anton holds about you is incorrect, incomplete or inaccurate, then you may request amendment of it. Anton will consider if the information requires amendment. If Anton does not agree that there are grounds for amendment, then Anton will add a note to the personal information stating that you disagree with it. WHO DOES ANTON DISCLOSE MY PERSONAL INFORMATION TO? There are some instances when Anton need to provide your personal information to third parties. Anton may be bound by law to provide your details to government-related bodies, including the Titles Office or the Residential Tenancies Bond Authority. Sometimes Anton may need to outsource some of our administrative and other property-related functions to external organisations such as advertising agencies, photography, copywriters, building and garden maintenance contractors or consultants such as accountants, lawyers, surveyors and other advisors. Other third parties may include web hosting providers, IT systems administrators, mailing houses, couriers, payment processors, data entry service providers, electronic network administrators, debt collectors, and other business advisors and consultants. Most of the above organisations are bound by express or implied confidentiality obligations to Anton. Anton may also provide your details to third party business partners for the purpose of offering to provide you with products or services provided by Anton or these business partners that Anton considers relevant to you. Anton does not sell your personal details to other organisations. We may however use the information about you to assist us with internal marketing and research. HOW DOES ANTON KEEP MY PERSONAL INFORMATION SECURE? Anton will take reasonable steps to ensure information Anton collects, uses or discloses is stored in a secure environment that is accessed only by persons authorised by Anton so as to prevent interference, misuse, loss, unauthorised access, modification or disclosure. If the personal information is no longer needed for any purpose, Anton will take reasonable steps to destroy or permanently de-identify the personal information. Anton endeavours to provide a secure environment and a reliable system but you should be aware that there are inherent risks associated with the electronic storage and transmission of information (particularly via the Internet) which cannot be guaranteed to be 100% secure. Anton’s Privacy Officer can assist you with any enquiries you have about the information that we hold about you. They can be contacted on (03) 98262269 from 9.00am to 5.30pm (AEST time), Monday to Friday. If you have a complaint or concern you can phone the Anton Privacy Officer on (03) 98262269 or write to the Privacy Officer at the address above. We will do our best to try and resolve your complaint within 90 days. Although Anton intends to observe this policy at all times, it is not legally binding on Anton in any way. From time to time Anton may regard it as necessary or desirable to act outside the policy. Anton may do so, subject only to any other applicable contractual rights you have and any statutory rights you have under the Act or other applicable legislation.